How to watch Gotham: Season 4 (2018) on Netflix Netherlands! Yes, Gotham: Season 4 is now available on Dutch Netflix. It arrived for online streaming on January 1, 2019. We'll keep checking Netflix Netherlands for Gotham: Season 4, and this page will be updated with any changes. Long before he was commissioner, rookie cop James Gordon takes on Gotham City crime and corruption to avenge the murder of Bruce Wayne's parents. You know the story of Batman. Now meet the dogged detective who helps Bruce Wayne become the crusader Gotham needs. Season 1 of Gotham has 22 episodes. Because different Netflix countries have different availability for episodes, you'll need to check the episode listing below to see which are available in the Netherlands. New detective James Gordon and his experienced partner, Harvey Bullock, investigate the murder of the billionaire parents of 12-year-old Bruce Wayne. Gordon and Bullock investigate a child trafficking ring preying on street kids, including Selina; Penguin begins to make his way back to Gotham. Detectives Gordon and Bullock track down a vigilante who is killing corrupt Gotham citizens by attaching them to weather balloons. As a contentious city council vote on the future of the Arkham District approaches, politicians on both sides are in danger. 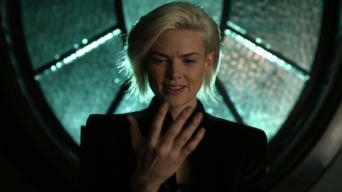 Gordon and Bullock search for the source of a new drug that causes euphoria, then death; Cobblepot works his way deeper into Maroni's inner circle. When a killer begins targeting the firstborn of Gotham's elite, Bullock faces traumatic memories from a nearly identical case he worked in the past. Penguin reveals a new element of his manipulative strategy, forcing Gordon to deal with the consequences of his decision to spare Penguin's life. When a Gothamite is found beaten to death, Gordon and Bullock are intrigued by the motive; Bruce returns to school and has trouble making friends. Trying to close the Wayne murder case, young Harvey Dent encourages Gordon to team up with Mayor James; Penguin contacts Mooney's secret weapon, Liza. Selina leads a new friend on a perilous journey through Gotham to evade the assassins on her trail; Gordon is reassigned following a misstep. 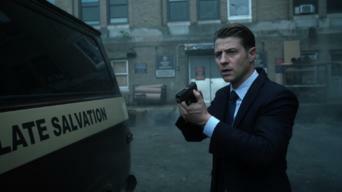 Gordon's assignment at Arkham Asylum gets off to a rocky start when a guard's murder ignites an investigation, leading him to Dr. Leslie Thompkins. In an attempt to get his job back, Gordon seeks to capture Jack Gruber, a deranged electrical genius who escapes Arkham Asylum. When the key witness in a homicide ends up dead while being held for questioning, Gordon suspects an inside job and seeks details from an old friend. Fish reveals a secret of Oswald Cobblepot's, prompting a loyalty test from Maroni; Gordon and Bullock hunt a killer who targets victims with phobias. Gordon and Bullock aim to stop a biology teacher who has been harvesting the glands of his murder victims; Mooney continues plotting to gain power. 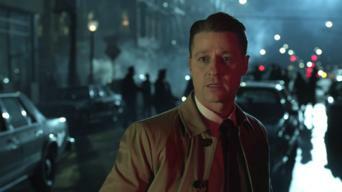 Gordon takes Dr. Leslie Thompkins to the circus, but the circus comes under attack; Falcone enlists Butch Gilzean to help Penguin with the nightclub. Following several bank robberies, Gordon and Bullock investigate the Red Hood gang; Selina Kyle continues to bond with Barbara. 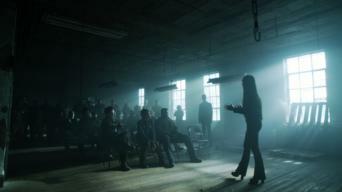 While Gordon seeks information about the recent controversy with Commissioner Loeb, Fish's allegiance to the prisoners is questioned. Gordon and Bullock investigate a cold case involving a serial killer who targets young women in Gotham City; Fish plots her escape from the Dollmaker. Gordon and Bullock continue to investigate the Ogre, who makes a move on someone close to Gordon; Bruce and Selina expose a corrupt Wayne Enterprises. The Ogre breaks down Barbara's emotions as Gordon and Bullock go to great lengths to track him down; Penguin leads a massacre, beginning an epic war. As Gotham City's gang war reaches a boiling point, Fish Mooney goes head-to-head with Maroni and Penguin in a bid to reclaim the city. Season 2 of Gotham has 22 episodes. Because different Netflix countries have different availability for episodes, you'll need to check the episode listing below to see which are available in the Netherlands. As Bruce learns more about his late father's secrets, Gordon forms a reluctant partnership with Oswald Cobblepot. Gordon leads the charge to find the Arkham escapees who are still at large. Meanwhile, Alfred takes drastic measures to protect Bruce. Alfred convinces Bruce to attend a children's hospital benefit that turns unexpectedly sinister by evening's end. A department tragedy leads to Gordon's promotion and a renewed commitment to fighting evil. Theo Galavan lays out his plan for Gotham's future. Gotham crime heats up when the Penguin and Galavan partner with a family of arsonists. An old feud resurfaces between the Galavans and the Waynes. As a conflicted Bridgit weighs her options, Penguin and Galavan continue their dueling quests for power. A vengeful Penguin is determined to free his mother from captivity. 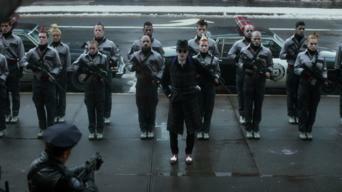 Upon meeting for the first time, Silver and Selina clash over Bruce. After Barbara wakes up from a chilling nightmare, a power-hungry Galavan makes Bruce an offer that's hard to refuse. Lee expresses concern over Gordon's dark side. Edward nurses an injured Penguin back to health -- and seeks his advice. Selina and Bruce renew their partnership. Meanwhile, Gordon renews his quest to keep Galavan behind bars where he belongs. After Bruce is abducted, Gordon turns to an unlikely ally to stop Galavan's plans for revenge against the Waynes. Gordon prepares for an important testimony. Meanwhile, there’s a chilling new villain in Gotham, and he’s freezing people to death. Alfred shares new information about the man who killed Bruce's parents. The police prepare to move a new inmate to Arkham Asylum. Penguin continues his work with Hugo Strange, who’s confident he can “cure” his aggression. Bruce renews his vow to find his parents’ killer. 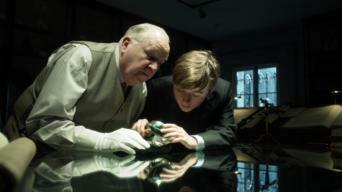 While Gordon and Bullock investigate a museum robbery, Penguin catches up with some old friends. Bruce tests his new street smarts. Gordon gets a taste of prison life, and Bullock delivers devastating news. Elsewhere, Penguin deals with family dysfunction. While a desperate Gordon works to clear his name, Penguin learns the surprising truth about his father's death. Barbara reaches out to Gordon in an attempt to repair their relationship. Bruce and Alfred launch a search for one of Thomas Wayne's old associates. While Gordon questions Professor Strange about his work at Pinewood Farms, a dangerous new villain prepares to take aim at the city. Azrael's vow to kill Gordon prompts the Penguin to come out of the woodwork. But it doesn't take long for Bruce to become the new target. With support from Gordon, Lucius and Alfred, Bruce sets out to save Selina. But first, they'll have to find Professor Strange's secret lab. Gordon undergoes a drug-fueled transformation deep inside Professor Strange's lab. Meanwhile, a new threat looms for Gotham. Season 3 of Gotham has 23 episodes. Because different Netflix countries have different availability for episodes, you'll need to check the episode listing below to see which are available in the Netherlands. Gordon takes to the streets of Gotham as a bounty hunter to find mad-scientist supervillain Hugo Strange and his reanimated subject, Fish Mooney. Professor Strange is still at large, but Fish is determined to find him. Meanwhile, Gordon and journalist Valerie Vale are determined to find Fish. Gordon signs on to help new Gotham arrival Jervis Tetch, aka the Mad Hatter, find his lost sister, Alice. Elsewhere, Penguin preps for a mayoral run. With Penguin poised to become mayor of Gotham, Bruce and Alfred comb the city for Bruce's doppelgänger, who's completely assumed Bruce's identity. While Bruce looks for Ivy, a newly elected Mayor Cobblepot faces a stack of campaign promises -- and unprecedented crime levels. A sadistic Mad Hatter forces Gordon to make an agonizing choice. Puzzle-loving Edward "Ed" Nygma reconnects with a face from his past. A run-in with the Mad Hatter sends Gordon down a psychedelic rabbit hole. Penguin struggles to accept the nature of Nygma's new relationship. As a deeply affected Barnes descends into madness, Nygma navigates his relationship with Isabella. Falcone throws Lee and Mario an engagement party. Gordon urges Bullock to investigate Barnes, and Nygma turns to Penguin when he gets devastating news. Ivy opens up to Bruce and Selina. As a new threat bubbles to the surface before Lee and Mario's rehearsal dinner, Bruce begins to unravel the secrets surrounding the Court of Owls. As the virus starts spreading through the city, the Gotham lab developing a cure is compromised. Gordon and Mario face off before the wedding. Gordon and Bullock unearth shadowy plans to resurrect an old foe. Selina's mother returns to Gotham, and Penguin prepares for prime time. Dwight's decision to bring Jerome back from the dead incites frenzy among his followers. Penguin and Nygma's power struggle intensifies. Jerome sets his sights on Bruce. Elsewhere, Gordon's uncle pays him a visit, and Penguin and Nygma face their issues head on. Gotham gets a questionable new villain when Nygma rolls out "The Riddler." Disturbing details emerge about the death of Gordon's late father. As a terrible weapon threatens the city, Bruce begins his lessons with the Shaman. Meanwhile, Gordon unearths surprising ties in his family tree. 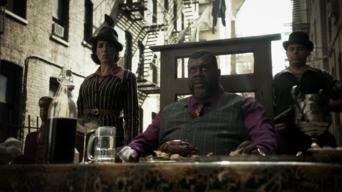 There's a chill in the air when some of Gotham's most notorious villains -- including Mr. Freeze -- come together to talk in terrifying numbers. As terrible truths come to light, Gordon presses Kathryn for a seat at the Court of Owls' table. Elsewhere, Bruce intensifies his training. As the Shaman shows his hand, a dazzling discovery unlocks the secrets of Gotham's underworld. Penguin and Riddler are forced to work together. With a deadly virus looming over Gotham, some of the city's most maniacal villains join forces, and a young Bruce is poised to accept his destiny. The search for an antidote intensifies as darkness spreads over Gotham -- and a trio of villains make plans. Bruce struggles to let go of his past. The search for an antidote intensifies as darkness spreads over Gotham -- and a trio of villains makes plans. Bruce struggles to let go of his past. 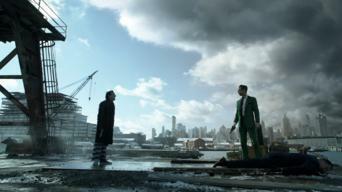 With Gotham on lockdown, Lee makes plans to leave the city, and Gordon calls Nygma with a proposition. Bruce rushes to Alfred's side. Season 4 of Gotham has 22 episodes. Because different Netflix countries have different availability for episodes, you'll need to check the episode listing below to see which are available in the Netherlands. While Bruce adapts to life as a vigilante, Penguin plans a grand opening for his new "Iceberg Lounge." 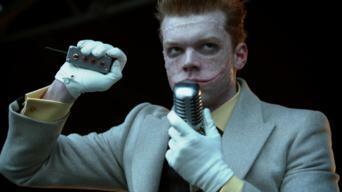 A new villain forces Gotham to face its fears. 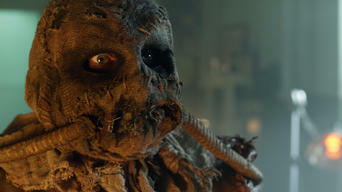 As the Scarecrow gathers an army, Penguin issues a public challenge for Gordon to find Jonathan Crane. Selina and Tabitha negotiate a new partnership. Gordon goes to Falcone for help, and Bruce dons a series of disguises. A theft at the Iceberg Lounge hits Penguin where it hurts. Bruce and Alfred court danger while digging into the knife's ancient origins. Meanwhile, Nygma wants revenge -- but he seems to have lost his touch. 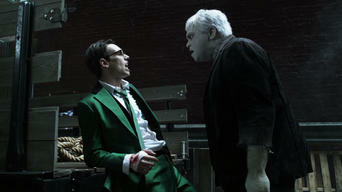 Bruce takes matters into his own hands, and Nygma comes face to face with an old associate. Sofia appeals to Penguin's soft side. A new killer hits Gotham with a disturbing M.O. : killing cops and crowning his victims with a severed pig’s head. Grundy takes to the ring. A disturbing delivery at the precinct prompts Penguin to offer his services. An old friend talks Bruce into meeting up with some former classmates. A vengeful Penguin sends the Sirens after Nygma when he hears he's being publicly mocked. A big promotion comes between Gordon and Bullock. 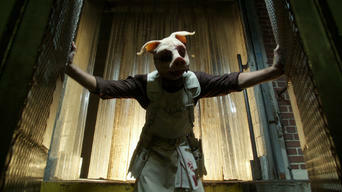 While Sofia plans a posh fundraiser for the orphanage, Professor Pyg gives Gotham a taste of what’s to come. Bruce and Alfred go into the woods. 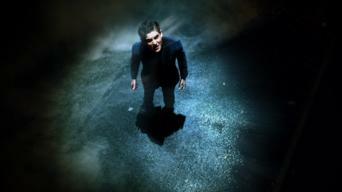 Gordon digs into Pyg's past in an attempt to unmask him while Lee tightens her control over the Narrows. A scorned Penguin lashes out at Sofia. Penguin's plan to call an old rival back to Gotham erupts in unexpected violence. Bruce and Alfred come to blows over bad behavior. A colorful new persona takes root in Gotham, and Alfred adjusts to life away from Wayne Manor. Nygma backs Lee in her quest to rebuild the Narrows. 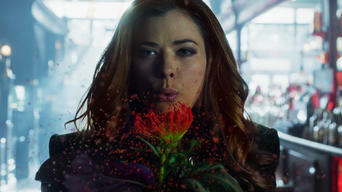 Ivy leaves behind an intoxicating calling card while digging up dirt on a top-secret project. Jerome pokes fun at Penguin, and Bruce sees his future. Sofia makes steep demands on the Narrows, and a remorseful Bruce reaches out to Alfred. 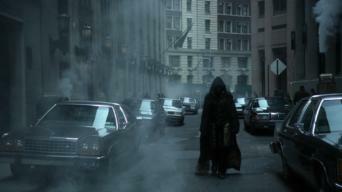 A widespread attack on Gotham reeks of vengeance. While Gordon and Bullock look for a key witness to take Sofia down, Lee goes to Penguin and Nygma with a plan for revenge. Selina asks Bruce for help. A coordinated breakout at Arkham begets bedlam -- and blood -- in the streets. Bruce pursues an old enemy. Painful memories reveal Barbara's purpose. Jerome calls the first meeting of the "Legion of Horribles," and Nygma hosts a game show in the Narrows. Penguin goes to Butch with a proposal. 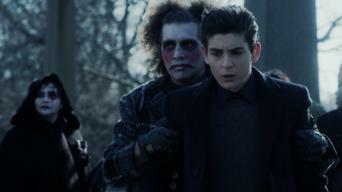 Gordon goes to Bruce with a plan when Jerome makes demands on Gotham. Penguin has second thoughts, and Barbara unlocks her destiny. A rash of bank robberies keeps Gordon and Bullock busy. A familiar evil reawakens, putting Barbara in danger -- and forcing Selina to choose sides. Chaos reigns as Jerome's followers swarm the GCPD and Nygma moves to bust Lee out of custody. Bruce builds trust with Jeremiah. Bullock steps in to defuse an explosive plot with help from the city's unlikeliest heroes. Bruce answers a fateful call that stirs his darkest fears. Ra's al Ghul's dark vision is realized as the governor declares martial law and Jeremiah lures Bruce into a trap. But Barbara's ready for a fight.